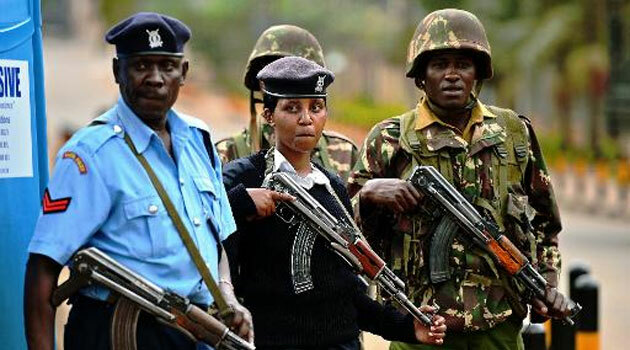 Three Kenyan Police officers are being held in Uganda by Ugandan soldiers in what media reports indicate to be the controversy surrounding fishing rights in Lake Victoria. The officers were arrested and disarmed by the UPDF soldiers on Monday near Mageta and Hama Islands in Lake Victoria and taken to the neighboring country by boat. The officers were rounded up and put together with Kenyan fishermen found catching fish in Ugandan waters. Siaya County Administration Police Commandant Patrick Lumumba said the 3pm incident involved up to eight soldiers on patrol. Lumumba said the attackers, who were heavily armed, first hijacked five Kenyan boats and took away their engines. “Our officers were overpowered by the heavily armed attackers who lay an ambush on the officers who assumed they were civilians and fishermen,” said Lumumba. Nyanza Regional Commissioner Moffat Kangi was set to visit the area to try and resolve the tiff. It is the second such high-profile detention by Ugandan authorities guarding the lake. In November last year, the Foreign ministry had to intervene after 17 fishermen in Homa Bay were arrested and detained in Uganda over illegal fishing.